Sleepy Hollow Longhorns is located in NC, just south of the states capitol in the small town of Coats. Our love for Longhorns began many years ago after being involved in team roping and rodeos for many years. After moving on from that and going several years with no cattle at all it was easy to come to the decision that cows were needed on the farm again. After considering many different breeds the beautiful color and horns pulled us to the Texas Longhorns. We purchased our first registered Longhorns in 2014 and were quickly drawn in by their great nature and beauty. 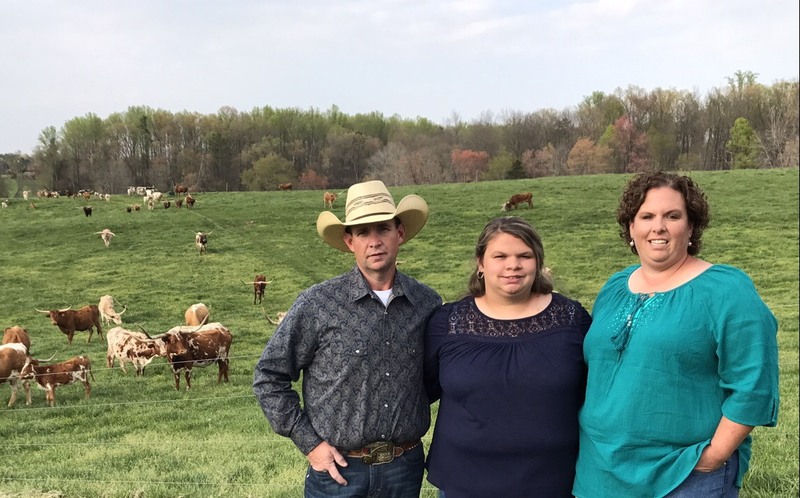 Since then we have set our goals to breed and grow our herd by adding quality animals and using top bulls to produce offspring with all the most desired qualities in the breed.